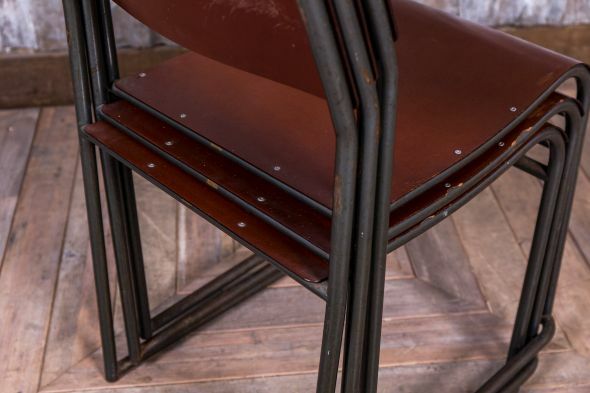 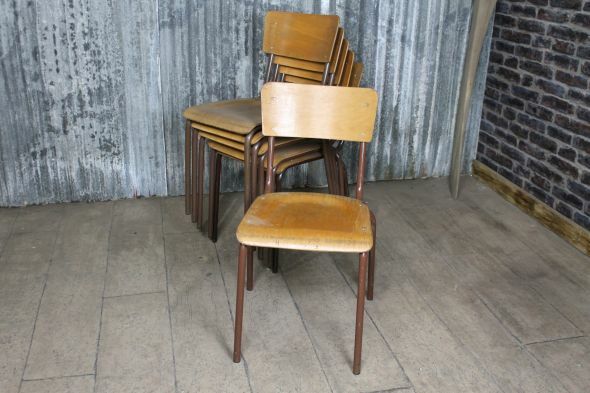 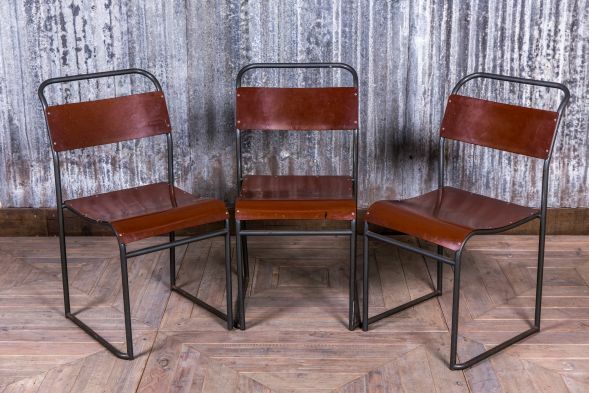 A versatile and practical range of chairs from our vintage stackable seating collection. 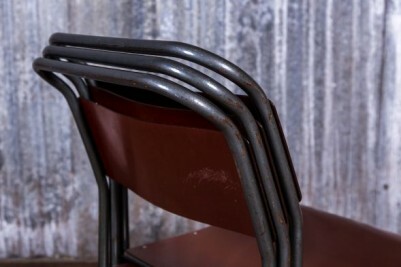 Originally manufactured as classroom chairs, they are now a popular choice for both the commercial and domestic markets. 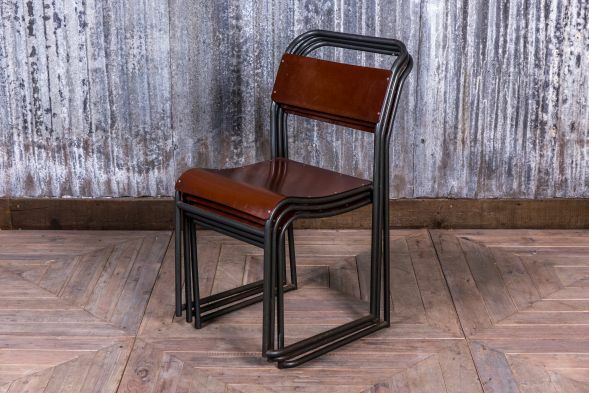 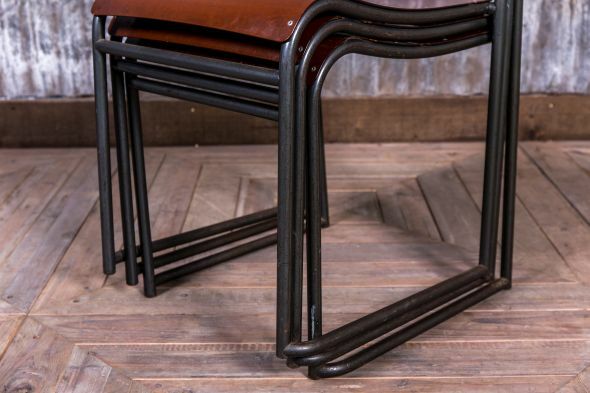 The chairs have a steel frame in a gunmetal colour, with a Bakelite seat and back. 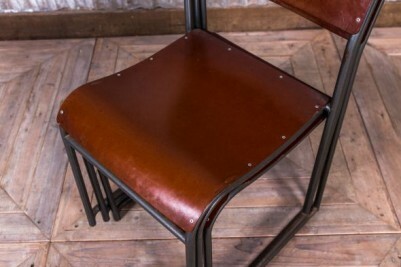 The seat is contoured for additional comfort. 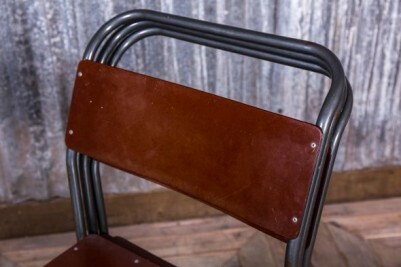 When not in use, these chairs can be easily stacked and stored away. Although in good condition, as a result of their age, these products will show some signs of wear and tear. The price is for one chair but we do have more available.